Results 1331 to 1339 out of 1339. What next for Greek politics after Golden Dawn arrests? The arrest of Golden Dawn leader Nikos Michaloliakos, a handful of his MPs and several party members on Saturday was a surprise on many levels and has left a number of key political issues open. The government’s clampdown on Golden Dawn after the murder of rapper Pavlos Fyssas by one of its supporters has prompted speculation that the neofascist party might try to get even with the mainstream parties. It has been suggested that this could lead the party’s 18 MPs to resign en masse, creating confusion in Parliament and possibly trigger national elections. Two more opinion polls published this week have shown a drop in support for Golden Dawn, with New Democracy appearing to be the party that has profited most. The consequences of last week’s murder of an anti-fascist rapper by a Golden Dawn supporter gathered pace on Monday when two of Greece’s most senior police officers resigned and another eight high-ranking members of the force were transferred from their positions. 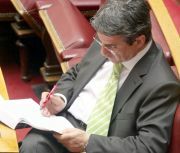 Prime Minister Antonis Samaras was probably expecting the latest troika review of Greece’s adjustment program to be his biggest worry at this time of year. Instead, the murder of an anti-fascist rapper by a Golden Dawn member means that his immediate concern is to confront the rise of the far right. Panos Kammenos and his anti-bailout Independent Greeks have been showing remarkable resilience in opinion polls despite their limited scope and internal problems that led to some key members leaving the party. Kammenos, though, is putting this durability to the test after being caught on camera advising residents of a village in Halkidiki to “lynch” their mayor. One of the key factors that will determine developments in Greek politics over the months and years to come is what is going to happen in the centre-left part of the spectrum. There have been backchannel discussion on the subject between PASOK, Democratic Left (DIMAR) and various new groups and movements but so far the issue remains unresolved. 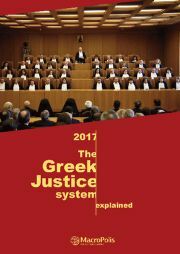 Since the June 2012 national elections in Greece, New Democracy and SYRIZA have interchanged as the country’s most popular party. The latest Public Issue opinion poll, published on September 11, provides the latest twist in this intertwining tale. This time, it gives SYRIZA a 1 percentage point lead over the conservatives: 29 percent against 28.